The Charlottesville Downtown area is one of the most popular places around this town. There are so many beautiful views. The art work downtown is completely amazing and the restaurants are exceptional. Also every Friday night the downtown hosts a singer to perform in the pavilion. Many people love this because they get to listen to a new performer and different music every week. 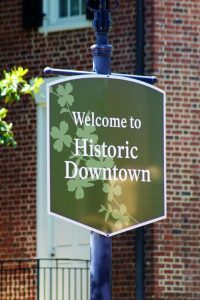 The Downtown area of Charlottesville is an incredible place to live.